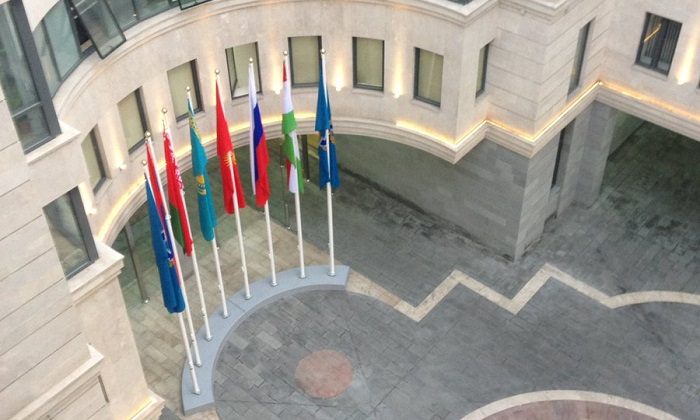 The Council of Foreign Ministers of the CSTO member states will be held on May 22 in Bishkek, CSTO’s press service reported. On April 11, under the chairmanship of the permanent and plenipotentiary representative of Kyrgyzstan, Aman Mambetseitov, a meeting of the permanent council of the CSTO was held, in which the acting secretary general of the CSTO Valery Semerikov took part. The meeting participants reviewed the draft agenda of the meeting of the CSTO Council of Ministers of Foreign Affairs. In addition, at the meeting of the organization’s permanent council, the participation of the integrated unit of the armed forces of the CSTO member states in a military parade dedicated to the 75th anniversary of the Victory in World War II was discussed. The draft decision of the CSTO Council of Ministers of Defense is in internal coordination.